Whew… what a year it’s been! I think we could all use a laugh, right? 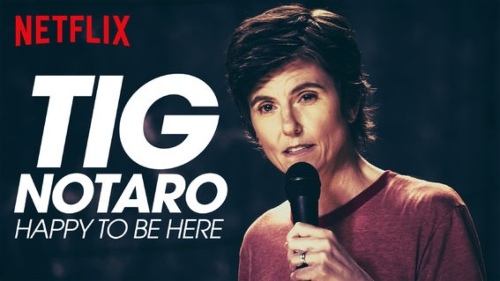 So much like I did for 2017, it’s time to list the best attempts at trying to make us laugh throughout 2018… AKA Netflix be killing the standup special game too! Mr. Mulaney didn’t just kill it in one of the best comic book movies of the year. He also had another great Netflix special! I’m a big fan of John’s delivery… so I guess I’m already in, but his bits about the cop who came to his school really spoke to me. That is definitely going to be a theme this post. I’m sure people will get mad about specials I missed, but, in a year where I’ve heard a lot of crazy things that go against my beliefs, it was nice to hear some things that made me laugh and reflected my life experience or my beliefs. I’m not a big Chris Rock fan… I know shoot me. But I have to give it up for this special. It was presented to me as the 4:44 of Chris Rock specials. Cool. I especially liked Chris Rock in some of the footage that came out of the 4:44 roll out (get Tidal to truly enjoy that album and all it has to offer beyond the dope music videos). Chris talking about his infidelities, the way he raises his kids, isn’t completely new territory in general, but coming from him, in this climate, felt refreshing and needed. I’ve been riding for Tig since the Comedy Death Ray days. Her dry delivery really works for me. So while this special didn’t speak directly to my life experiences, it’s truly funny. So funny, in fact, that Pauline actually sat through it and laughed. [It should be noted Pauline HATES stand up comedy]. So if she wasn’t talking about how the cops and certain people in office are bugging, what did I think was so great? Look no further than her Ellen story and her Indigo Girls bit! If i’m being honest, Demetri Martin’s brand of comedy is the perfect joke delivery system for me. I genuinely dig his work, but I’d probably like anyone delivering jokes the way he does. I know that sounds like a slight, but it’s not. I’m saying he’s doing comedy that cuts straight to my funny bone. He even switches things up by having a voice over that overthinks his jokes! That’s right, the title of this special is not just some random phrase. It’s integral to the special. Everybody give it up to the guy who brought about the demise of Apu on The Simpsons! I’m not being facetious. In my old age, I’ve truly gotten tired of someone’s accent being the punchline for a joke. Unless someone is doing an intricate regional accent (more on that later). But this isn’t about Hari’s documentary. This is about his searing stand up special. It has all the political stuff I needed addressed but also has his take on people using devil’s advocate. So it’s truly something special! I was truly surprised by this special. Not being Brian, a drummer, I didn’t think this special would really work for me, despite my appreciation of Fred Armisen. However, I am in a band and I have tried to help Brian set up his kit. I do like intricate breakdowns of regional accents, and I enjoy being entertained. So there you have it, while this is another instance of the title being a pretty good way of setting expectations, there is still a way for non-drummers to not only enjoy, but, love this special! I bet you thought this would be number one. Surely one of the most talked about specials on Netflix should be the best. I’ll say this for Hannah Gadsby’s special. It’s the best whatever this, yet to be classified, mix of a stand up set and TED Talk I’ve ever seen. It’s emotional, it challenges you to have some great conversations and self reflection. However, there is a clear point where Hannah stops trying to make you laugh. And while I appreciate that, it makes it more of a hybrid experience that is 100% worth watching. It’s also 100% worth encouraging people to watch… but I can’t give it best stand up special. Speaking of new experiences, enter Drew Michael’s Jerrod Carmichael directed special. No audience. That’s right, there is nothing that lets you know when a joke has started or ended really. No one else to signal to you that, “yeah, that was laugh out loud funny.” Just a a man in an interestingly lit room basically doing some great monologues. The slide monologue being a big highlight for me considering I’m not really up for that kind of subject matter when it comes to comedy. The only downside was the cuts to Suki Waterhouse. It’s interesting for a moment but really feels like it’s detracting from the comedy. I suppose it’s all apart of the artistic vision and I should shut up about it. I’m a Cameron fan! Don’t believe me? I once used her as example to disprove what Seinfeld was complaining about. So didn’t I feel vindicated when Cameron attacked that subject head on in her special. Essentially saying if you need certain words to be funny… she’s a better comic than you. * sips tea * That’s right, not only is Cameron hilarious, but she’s talking about the stuff I want to hear about and not just going for jokes but giving people advice on how to create a great legacy. You get way more than you’re expecting with this special while also laughing the whole time. I always thought I liked Kamau better as a podcaster who loves Denzel as much as I do. Turns out, I’ve truly been sleeping on his ability to deliver the goods during a stand up special. I’ve been telling you this whole post that I needed to hear that I wasn’t alone with some of my political views or how I thought life was going, and this was the special that stuck with me since I saw it the most. I don’t have kids and I’m not as old as Mr. Bell but I felt a lot of what he was talking about in a big way. There’s no other way to describe the feeling I had watching this special.